ʻO Maui Nui o Kama ka mokupuni. ʻO Mauna Kahālāwai ka mauna e kū keha nei. ʻO Nā Wai ʻEhā ka moku. ʻO Waikapū i ka makani kokololio ke ahupuaʻa. Aia lā i laila ka ʻili ʻāina aloha ʻo Nohoʻana, he wahi i mahi ʻia ai ka loʻi kalo mai ka wā o Nahau lāua ʻo Kuolaia. E ola mau ka moʻo ʻo Hāloa. Maui the great land of Chief Kama is our island. Mauna Kahālāwai is our mountain range that stands majestically and where the waters flow forth. Nā Wai ʻEhā, the four renowned streams is our district. Waikapū of the gusty winds is our land division. It is on our beloved land of Nohoʻana, in which loʻi kalo are being cultivated to honor Nahau and Kuolaia who were the original tenants of this ancient subdivision. Let the generations of Hāloa continue to thrive. For hundreds of years prior to western contact, Native Hawaiians living within the ahupuaʻa of Waikapū constructed extensive loʻi kalo (taro terraces) and intricate ʻauwai (irrigation) systems. In 1848, the Kingdom of Hawaiʻi initiated the Māhele Nui (Great Land Division). In Waikapū, there were over 100 documented kuleana land awards which consisted of 1,400 loʻi kalo on an estimated 800 acres of land. Nohoʻana Farm exists on two kuleana land awards. 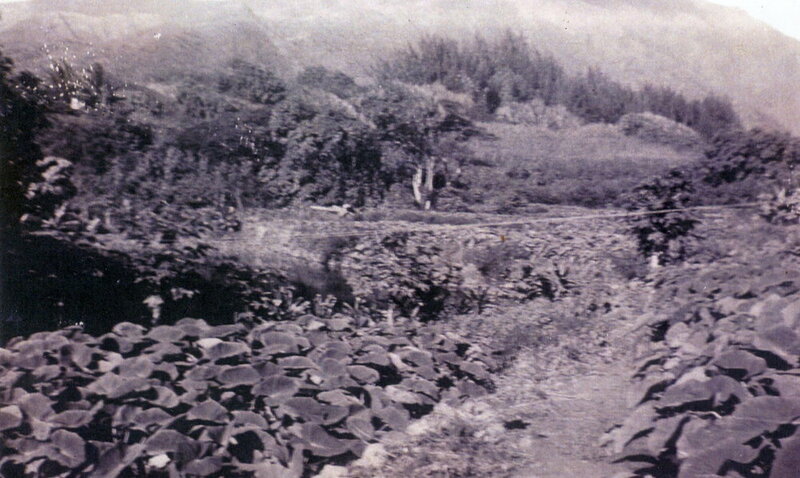 Kalo and other important Hawaiian food crops and plants dominated the landscape both on parts of the alluvial plains and along the Waikapū Stream towards the upper reaches of the valley. The Waikapū Stream also flowed continuously from the mountain to the ocean; commencing in the Hanaʻula and Kapilau watershed, flowing throughout the central plains of Kamaʻomaʻo, entering the inland fishpond and wetlands of Keālia and culminating at Māʻalaea Bay. Following the establishment of the Waikapū Sugar Company in 1864 (later Wailuku Sugar Company), the cultivation of loʻi kalo on kuleana lands quickly began to disappear as well as the drying up of the Waikapū Stream due to plantation stream diversions. Many hoaʻāina or Native Hawaiian tenants who once resided on these fertile kuleana for generations, were no longer able to cultivate loʻi kalo and were eventually forced to leave their ancestral lands. While far and few, there are kuleana lands that did survive the 150+ years of injustices caused by the sugar industry and continue to be one of Waikapū’s most valuable and important cultural and agricultural assets amongst a modern urban landscape. Nohoʻana Farm is one of the few surviving kuleana lands being cultivated currently in Waikapū. The Pellegrino ʻOhana which has Hawaiian ties to Nohoʻana, own and manage this family farm situated on two acres of land, comprised of 12 ancient loʻi kalo. Wai (water) from the Waikapū Stream is the lifeline of the farm. Nohoʻana is the historical name of the ʻili (subdivision) which translates to “a way of life” or “lifestyle”. Loʻi kalo cultivation thrived at Nohoʻana Farm and throughout Waikapū from the 1600s until the early 1900s, after which the land was forced to lay fallow due to the lack of stream flow, caused by the sugar industry. In May of 2004, the Pellegrino ʻOhana along with the support of the Waikapū community and kalo farmers throughout Hawaiʻi began restoring the pā pōhaku kīpapa (stone terraces), loʻi kalo and ʻauwai to their original state while advocating for increased stream flow to the Waikapū Stream. 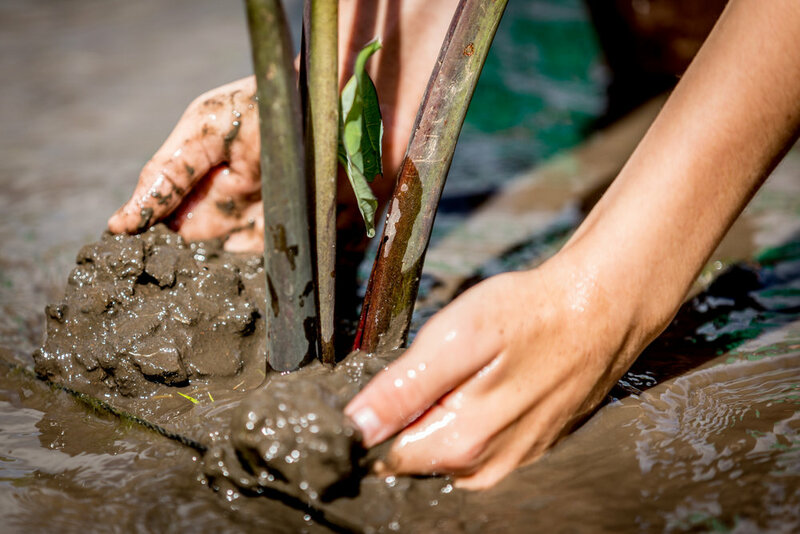 Along with wetland kalo, other important Hawaiian food crops are cultivated on the land using traditional, sustainable and organic farming practices. The mission of Nohoʻana Farm is “E ola mau ka mahiʻai kuʻuna”, meaning “Perpetuating traditional Hawaiian agriculture”. One of the main objectives of the farm is to engage with the Maui community by raising awareness through education on the importance and relevancy of traditional agriculture and food preparation, cultural landscape restoration and water resource management. In addition, the farm is dedicated to cultivating a diverse range of food crops and producing healthy food products that help support and sustain the Waikapū community. As of 2018, 6 of the 12 loʻi kalo have been completely restored. With the help of grants and community support, Nohoʻana Farm has built an educational facility and infrastructure that allows the entire farm to be completely energy self-sufficient. Nohoʻana Farm cultivates 45 heirloom varieties of kalo, grown both in loʻi kalo (wetland) and māla (dryland) settings. In addition, other Hawaiian food crops such as ʻulu (breadfruit), maiʻa (banana), ʻuala (sweet potato), and niu (coconut) are grown and produced for use in their cultural ag education program and produced for sale in the Waikapū Community to support farm operations. 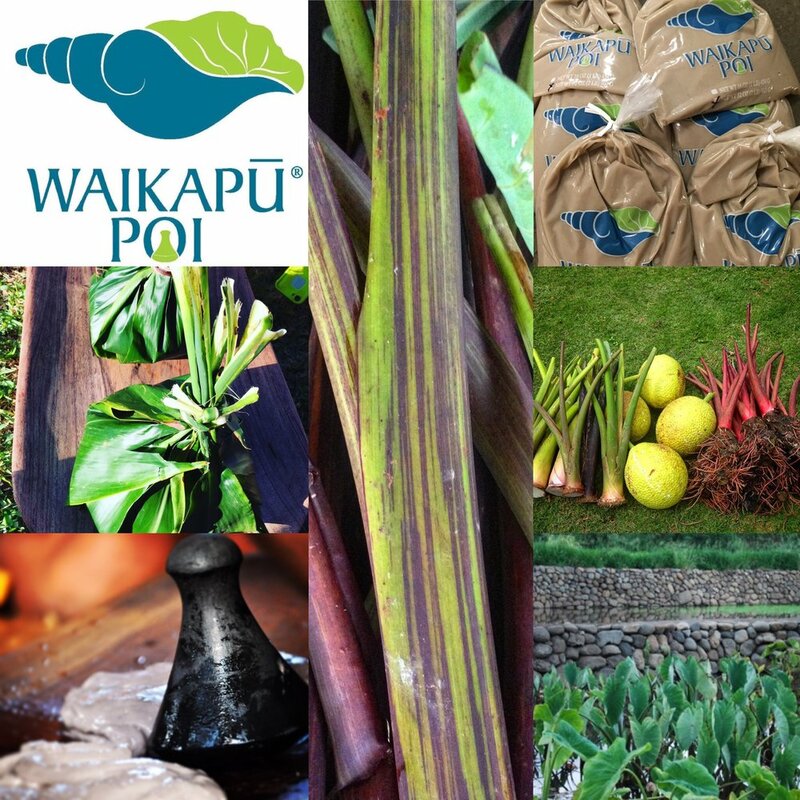 Thousands of pounds of kalo are harvested each year and produced as Waikapū Poi™, Waikapū Paʻi ʻai and Waikapū Kūlolo. Nohoʻana Farm produces seasonal ʻulu flour (breadfruit) which is the first of its kind on Maui, offering a healthy and gluten free flour for cooking, baking and ʻai pono – food healthy choices. Nohoʻana Farm also collaborates with numerous chefs and businesses around the island who use their kalo, ʻulu and other food crops in their farm to table menus. Promoting and engaging the Maui community to invest in local and organic Hawaiian food products is an important component of Nohoʻana Farm’s overall objectives.